It is no secret that children can develop different skills by spending time at the playground. This is why retailers such as Play N’ Learn offer the equipment your children need to enhance their skills at home. The following guide gives you an idea of how children benefit from having access to playground equipment. A playset for the backyard usually includes a slide, swingset and ladder. You can even add on extra equipment such as a glider swing or monkey bars. The playset encourages children to stay active by running around the area and climbing up the equipment. The slide and swings also encourage children to keep their bodies moving. A trampoline is another piece of equipment that promotes exercise in children. Children are constantly jumping around and attempting to do tricks on an outdoor trampoline. The activities keep their arms and legs moving so their muscles can become stronger. A playset in the backyard is just what you need to give your children a lesson in fair play. Children learn how to take turns using the equipment when they have to share it with other children. You can use sports equipment such as a Goalrilla basketball hoop to teach your children how to play as a team. It also teaches your child how to be a good sport after they win or lose a game. Learning how to play fair is a great way to improve their socialization skills. Children are likely to use their imagination when they have a playground to use as a prop. They can use the ladder and slide to pretend they are pirates looking for buried treasure. Children can also use the trampoline to pretend they are bouncing on the moon. 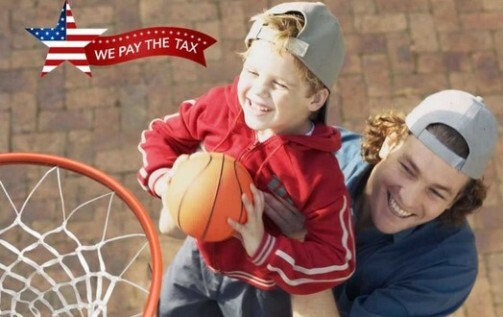 Your child may even pretend to be a basketball player who is about to win the championship game. Imaginative play helps children to enhance their social, thinking and problem-solving skills. There is more to backyard accessories than just having a good time. Children are encouraged to stay active, play fair and use their imagination when they have access to playground equipment. The best part is they will continue to use these skills as they grow older.